A lot of people have said to me over the last few years, “Aren’t the lines too long in Disneyland?”, to which I reply, "Well, it depends". Yes, I have seen ride queues 2 hours long. In Shanghai Disneyland, they are reputedly, up to 3 hours long. However, there are a number of ways to get around these lines and I will detail them here. We never waited more than 40 minutes for a ride, and the most common ‘wait’ was about 20 minutes or less. There are signs that list rides in the park and how long the lines are. Also out the front of each ride, there is a sign post, where it indicates that if you stand at X point, it indicates the waiting time is X minutes which is very useful. There are also Disneyland ride phone apps to indicate waiting times, which is good to have a look at in the lead up days before your visit to get an idea on real waiting times and most popular rides. Disneyland lines are also a little different than normal ride lines at other theme parks. I sometimes think that the ride operators must do some kind of course in constructing these rope pathways as the pathways can be quite elaborate and even go up and down stairs! In Disneyland the actual ride experience starts whilst you are in the actual line for most rides. Some of Universal Studios rides are similarly pre-ride themed, but not all (I am thinking Transformers ride in Singapore here). In Disneyland, the pre-ride themed entertainment is well demonstrated in the Winnie the Pooh ride in Tokyo. You actually enter Winnie’s house, and enter the actual pages of a large story book, but you are still only ‘in the line’. The ride has not yet begun! The Star Tours ride in Anaheim and Tokyo Disneyland’s is themed all the way through until you get to the ride itself. In Star Tours Anaheim, you get to see the original R2D2 from the original movies, and of course there is C3PO there to see as well. There are lots of robots to look at and as the line does move quickly you really don’t notice how long you have been waiting for. Unbelievably, I have been in some lines where we have rushed through the ‘pre-ride’ entertainment, as the ride was only 5 minutes waiting time! The Indiana Jones ride in Disneyland Tokyo (and Anaheim), is full of 'pre-ride entertainment' and there are important things to look at before you get to the start of the ride that enhance your experience of the ride. Ok, so what are some of the ways to beat the lines. 1. First of all, check the Disneyland official websites to check what days are busy days in each park (crowd predictors). These only come out a few months in advance for each park, but you can check past years if you really need to see particular dates. Avoid visiting parks during local school holidays, Spring breaks, Golden Week in Japan, Chinese New Year in Hong Kong, public holidays and weekends in general. With regards to Disneyland Anaheim, you should also check out the Anaheim Convention Centre calendar to see what big events might be occurring during your time at Disneyland. This will keep your overall waiting times low in general and is a good start. 2. Always have a Fast pass, particularly for the busy rides, such as Splash Mountain, Space Mountain, Indiana Jones, Toy Story Mania (Tokyo) etc. Fast Passes are where you get a ticket from a vending machine near the ride itself, that prints a ‘ride time’ ticket for you to return to the ride. The Fast Pass ride is less than 20 minutes. The only catch being, you cannot have more then one Fast Pass until your ‘ride’ time window has begun. Note DisneyWorld Florida has online Fast passes. The Fast Pass did not work too well for us in DisneySea. We chose ‘Toy Story Mania’ as a Fast Pass, dispensed at 9am in the morning. The return time was 8:30pm at night! This means we could get no other FastPass until 8:30pm at night, so choose carefully. And yes, the Fast Passes do run out. In California Adventure park, the Cars ride (also known as Radiator Spring racers), all the Fast Passes are gone by midday. Then the regular line is about 2 hours long. However, there is another way you can get on this ride if you arrive late…. 3. Single Rider Ride – We kind of stumbled upon this one by accident in the aforementioned Radiator Spring racers line. The Fast Passes were long gone and the waiting time was incredibly long. Someone told us to do the Single rider line and that it was only 20 minutes long. So that’s what we did. We did this numerous times and the wait was very short. In Tokyo DisneySea we also did this for the Indiana Jones ride. The wait was 5 minutes, and that was because we had to get through all the roped pathway to get straight to the front! There are Single rider lines available in Universal Studios too such as the Transformers ride. 4. Ride the big rides during the Fireworks/Parades. Our daughter A.J was a little afraid of fireworks when we first went to Disneyland in 2015. So, when the fireworks began, we went on the Indiana Jones ride twice in a row, with only a 5 minutes wait each time. Once again, the 5 minutes was the walk through the rope pathway to get to the front. 5. Get in line towards the end of the night. Singapore Universal Studios closed at 7pm, and we found that the line waits dropped off significantly around 5pm. Most ride waiting times were then around 10 minutes. The rides in Disneyland and Universal Studios are still fully functional until closing time. Also with Disney, if you are in line when the park officially ‘closes’, you will be able to finish the ride. As most people are in the shops at this time, this is also a good time to get on rides. 6. Also something to be aware of, if you have a young child who doesn’t wish to ride a particular ride, you can do a ‘Child swap’. This means the whole family lines up together. You get to start of the ride and one parent stays with the child and the other parent gets on the ride. Once the ride is over, the parents swap roles and the other parent gets to ride the ride and the other waits. We did this for the Indiana Jones ride in Anaheim after A.J refused to ride the same ride 3 times. This ‘child swap’ saves you from having to line up twice and will save you time. 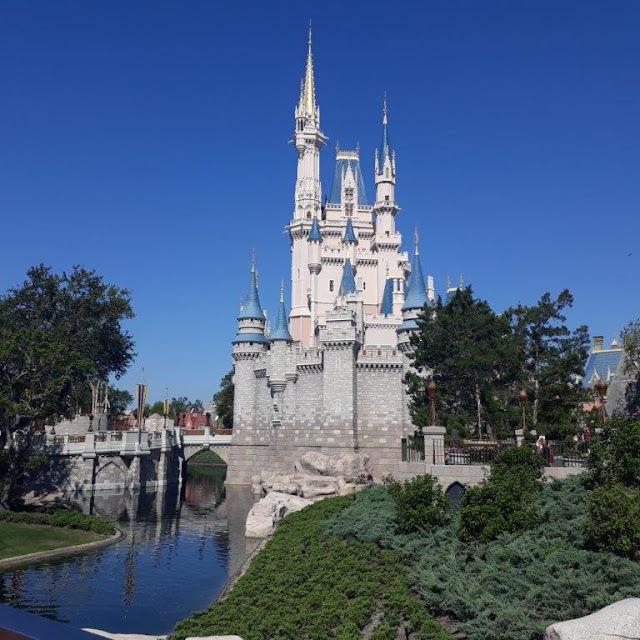 Hoping that these tips about Disney lines help you with your planning.